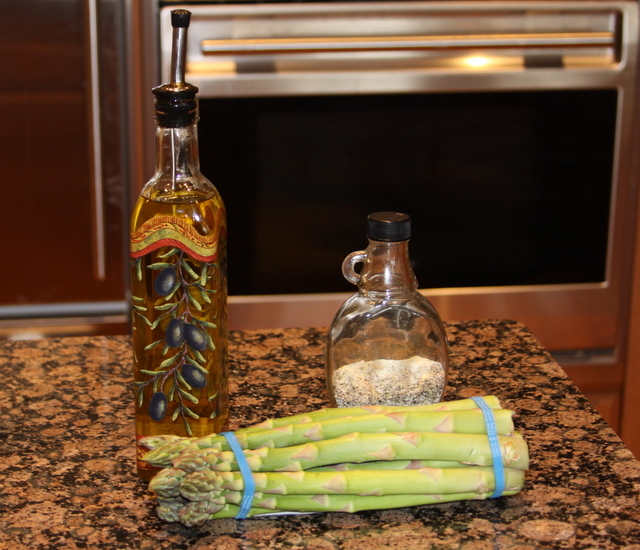 I LOVE asparagus and it is SO easy to cook. 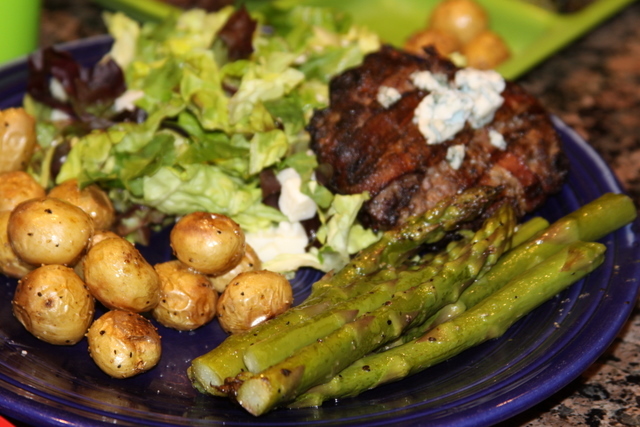 I could eat this EVERYDAY but in this picture it is served with a bun-less Bacon and Blue Burger, some tiny roasted potatoes (recipe is not posted yet), and a fresh greens salad. SO YUMMY. 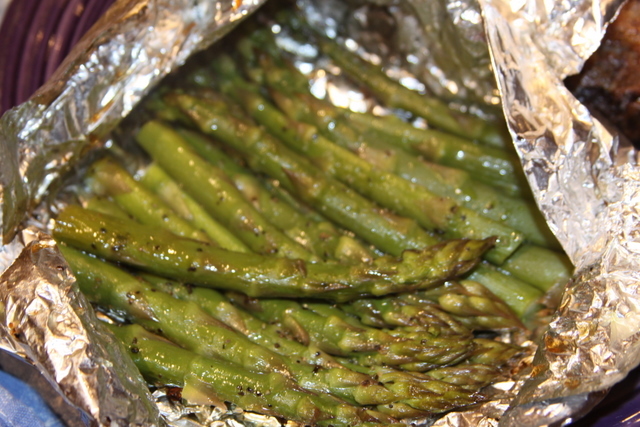 On a large piece of foil lay your clean and trimmed asparagus drizzle with olive oil and a good amount of House seasoning (salt, pepper, and garlic). 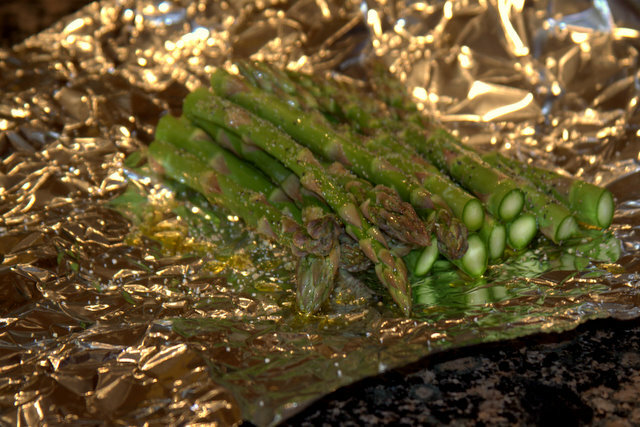 Fold the foil up to make a packet. 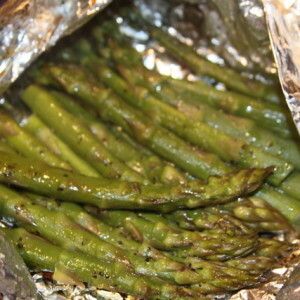 Add to the grill (also works in the oven) for about 10-15 minutes. I usually judge by pushing on the foil once it is a little soft they are ready to go.